Instand® is scalable to grow right along with your business needs and deliver a life-long return on your trade show display investment. Instand is truly unique in its ability to blend seamlessly with other Nomadic systems to form larger trade show booths. With Instand you're guaranteed easy set-up and our pop-up display will save you time and money on trade show expenses such as: drayage, transportation, set-up and storage. 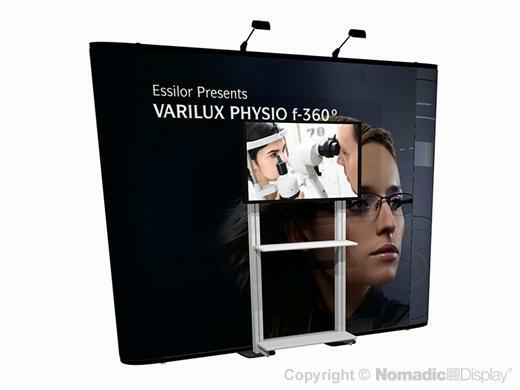 This 10' flat Instand exhibit is enhanced with a Free-Standing A/V Workstation form our mini foundation line.